Published on November 21, 2017 in analytics and general info. Closed Tags: Cape Cod luxury sales, Cape Cod new construction, Cape Cod real estate, Provincetown luxury homes, Provincetown new construction, Provincetown real estate. The Provincetown high end is as diverse as the town itself. These homes represent lovely family homes and compounds that just happen to have one of the best locations in the world – on the water in Provincetown! These three homes represent the best of Provincetown: a classic waterfront home, a mini- waterfront compound, and an oversized gatehouse to a famous estate. Last week I featured a post on the three highest priced homes for sale in Truro. 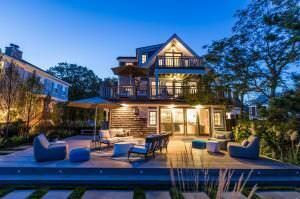 There are only 17 single family properties on the market in Provincetown vs 60 in Truro. Of those 17 only 6 are priced below $1M. The average asking price is $1.493M. Last year at this time there were 18 homes on the market with only 3 priced below $1M. These numbers illustrate the historic low inventory levels we are experiencing in Provincetown. 46 single family homes have sold year to date with an average sales price of $1.356M. 50 have sold in Truro year to date. 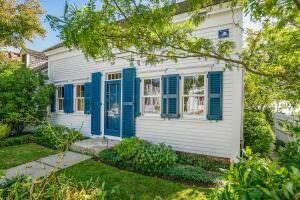 73 Commercial Street – $3.499M – is a classic Provincetown waterfront home with three bedrooms and four baths in 2,426 square feet. It is on a 5,227 square foot lot. MLS REMARKS: Spend your summer on the Provincetown West End waterfront overlooking historic Captain Jack’s Wharf, with magnificent views of the harbor out to the tip of Cape Cod, Long Point Light House. This newly renovated 1880 antique has all the amenities and quality finishes awaiting you, your friends and family.Three large bedrooms with en suite baths on three separate floors: each with waterfront decks for entertaining. A total of 2426 square feet of living space sits on a 5358 square foot lot.Property includes generous water frontage and direct access to the beach.Love boating? Moor your boat right out front; plus plenty of room to store all your water toys.From the chef’s stainless steel kitchen with Sub Zero refrigerator, full size Liebherr wine fridge (300 bottles) and Bertazzoni range; to the walled decorative gas fireplace in the dining area; to the exquisite expansive 1st fl outdoor entertaining deck and professionally landscaped yard. This property must be seen to be appreciated! 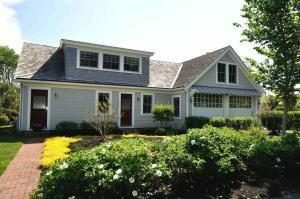 Listing courtesy of Raveis Real Estate. 59 Commercial Street – $3.490M –is comprised of two houses, one on Commercial Street and one directly on the water. There are three total bedrooms and five baths and a total of 2,364 square feet in the two buildings. This is an exceptional waterfront property in the heart of the West End. It is being marketed fort $3.490M. MLS Remarks: You’ll find this exquisite compound consisting of 2 year round homes in the West End, directly on the bayfront. The 1468 s.f. main house was floated over from Long Point and has been totally renovated with details respectful of the period but with all the modern amenities. The 2BD/2.5BA house has wood flooring throughout, a gourmet kitchen, and 2 wood-burning fireplaces. The 984 s.f., 1BD/1.5BA cottage sits directly on the water with lovely views of Provincetown Harbor and Long Point. Separate utilities, split A/C, wood floors, full kitchen, 2 decks. The beautifully landscaped yard has irrigation, parking for 2-3 cars, and bluestone patios. Hooked up to the municipal sewer system. Listing courtesy of Atlantic Bay Sothebys Intl. Real Estate. 1 Pilgrims Landing- $2.145M – is a three bedroom, three bath home with 3,554 square feet at the base of The Murchinson sub division in the far West End. It is located at the Commercial Street, Province Lands Road circle across from the breakwater. MLS REMARKS: Rare Opportunity! Once the gatehouse for the famous Murchison estate, 1 Pilgrim’s Landing has been reimagined as a unique single-family residence. With 3 BD & 3 BA, ‘the gatehouse’ embraces its original design while presenting a contemporary loft-like feel. The open-concept living area offers generous gathering & dining spaces, & a well-designed kitchen w/stone countertops and Thermador appliances. A sliding wall joins living area with garden and outdoor patio area. A dramatic light-filled multi-purpose room, featuring a sliding door system, opens to a lovely outdoor garden with deck and hot tub spa. The 2nd floor water-view master suite, includes a wood burning fireplace, beautifully appointed bath & dressing area w/ 2 large closets. Extensive perennial gardens, heated garage,and water filtration system complete this special home. The prestigious Pilgrim’s Landing community offers a stunning West End location and state of the art geothermal heating and cooling system. Listing courtesy of Coldwell Banker Pat Shultz Real Estate. See all available properties at Beachfront-Realty.com.